Holiday printer projects are usually pretty similar--photos turned into everything under the sun, including calendars and gifts, but mostly greeting cards. And in past years, we've described in detail how to print your own greeting cards, how to make custom photo gifts, and how to design calendars. So I went out looking for more-unusual holiday projects that an industrious crafter can tackle with a humble inkjet (or laser) printer. 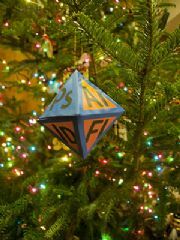 Among my discoveries: Christmas tree ornaments that you can create at home, print-it-yourself gift boxes, and a dreidel modeled on Star Wars' R2-D2. Thanks to the detailed instructions available online, you don't have to be an artist to tackle any of these projects. All you need is a printer, a little time, and (in some instances) special paper. Christmas trees start going up the day after Thanksgiving (or if you're a champion, sometime before Thanksgiving), so why not make this year's tree unique with handmade, printable tree ornaments? It's a fun project that everyone can enjoy--and it might even save you some money. 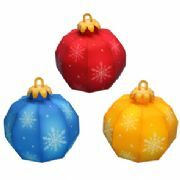 Want a more traditional, but still creative approach to holiday ornaments? Canon's Creative Park Website features a number of fun paper ornaments that you can print out and fold into impressive papercraft projects. Canon has all sorts of traditional ornaments, including holiday bells, candy canes, miniature stockings with poinsettia decorations, present boxes, and regular ornamental balls. Canon's papercraft projects include templates and assembly instructions, though you'll have to provide your own scissors, glue, ruler, pen, and printer. Paper Model Kiosk has a couple of simple-to-assemble Nativity scenes--they're closer to dioramas than to papercraft, but very pretty nonetheless. 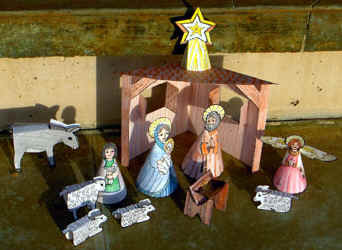 If you have children who like to color, you can also try the 3D papercraft Nativity scene from ScrapbookScrapbook.com. Nativity scenes not your thing? Try making a papercraft Christmas tree instead--here's a cute one that even includes tiny ornaments (the instructions are in Japanese, but the images are reasonably self-explanatory). Canon also has a couple of Christmas tree projects, including this basic one and this more advanced tree with cutouts for hanging ornaments. If you're not a huge fan of Disney or Tiny Tim, HP has other options. Try its Christmas Tree Wrap set, with templates and instructions for a gift bag, a gift box, a gift card, and wrapping paper; or give this hot pink holiday gift box a whirl. 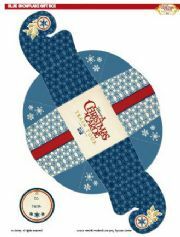 If you're looking for a home-made holder for cash or a gift card, you might like HP's Holiday Memories gift card holder. One thing to note: These gift boxes and bags are optimized for printing on regular-size (8.5-by-11-inch) paper, so they'll accomodate only small gifts such as jewelry. You can always blow them up and print them on larger sheets of paper (though the designs might get fuzzy), or you can design your own gift boxes using this template (you have the option of importing this plain template into Photoshop to embellish it, or you can print it immediately and break out the crayons). One Website that offers free, printable gift tag templates is FreePrintableGiftTags.net, which features gift tags for Christmas and Hanukkah (and a number of other occasions). 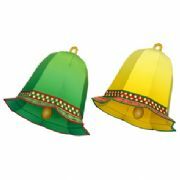 About.com's Desktop Publishing section has a comprehensive list of gift tags for all occasions and situations--including fashionably oversize gift tags and gift tags for "gifts from the kitchen." 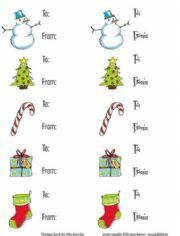 And Microsoft Office has a bunch of holiday gift tag templates for Microsoft Word.